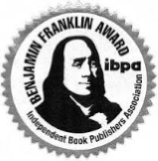 Congratulations to Jeff Riggenbach, and his book, Borderline Personality Disorder Toolbox, for winning a silver medal at the 2017 IBPA Benjamin Franklin Awards for editorial and design excellence in both Psychology and Self-Help categories. Do mood swings hit you quickly and intensely? Are you susceptible to getting your "buttons pushed" more often than others? Can you love your partner with all your heart and passionate intensity one moment, and hate them just as much only an hour later? Do you constantly have a nagging voice in the back of your mind telling you someone you care about is going to leave you, and that you will never be able to make it in life without them? If the answer to the majority of these questions is "yes," it is likely that you have borderline personality disorder, or BPD. But there is hope. And good news -- BPD is a highly treatable disorder. Tools to create a happier, healthier and more productive life! 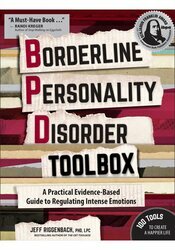 Dr. Riggenbach’s toolbox incorporates much practical gear for dealing with the vulnerabilities of borderline personality. He incorporates elements of several therapeutic approaches to develop functional strategies for regulating these challenges. These tools help all those experiencing the demands of BPD to build and sustain more stable relationships.